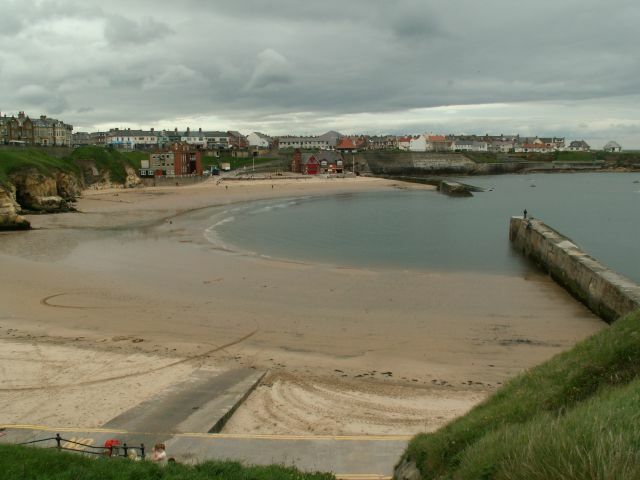 Cullercoats is a sandy bay enclosed by small piers and as such is ideal for families. The village has been popular with generations of visitors with its secluded bay the highlight. The beach has a Seaside Award and is ideal for bathing. The south of the bay is used as a launch site for recreational crafts. 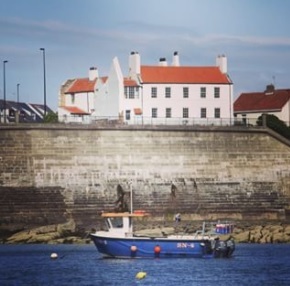 Cullercoats had a thriving fishing industry in the 1800s and small fishing boats - cobles - can still be seen in and around the bay today. Dove Marine Laboratory, on the bay itself, is an important research centre for Newcastle University's School of Marine Science. The Victorian RNLI Lifeboat Station is still active today. At the top of the north bank is Cullercoats Watch House. In the 19th Century Cullercoats developed a reputation as a popular artists' colony with the everyday lives of the fishing folk often used as subjects. The famous American artist Winslow Homer spent 18 months living and working in Cullercoats. Two interpretation panels on the seafront (overlooking the bay and further to the North, just after the Watch House) explain the fascinating art history of Cullercoats. 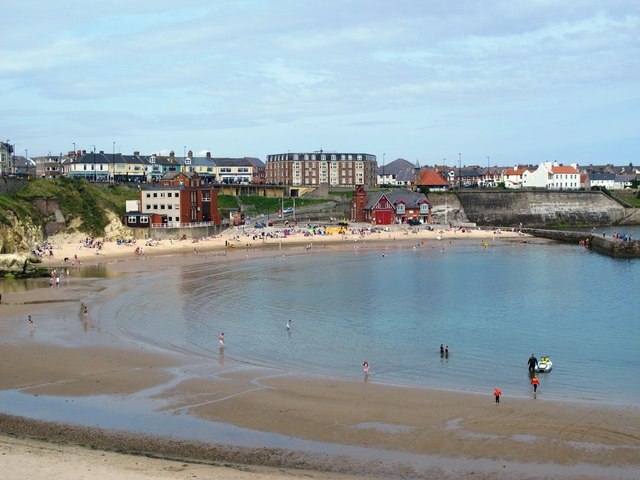 Cullercoats is the perfect place to stop for some refreshments, especially if you are enjoying the coastal walk between Tynemouth and Whitley Bay. You are spoiled for choice with fish and chips, a pub lunch, a coffee and cake or an ice cream all on the menu.